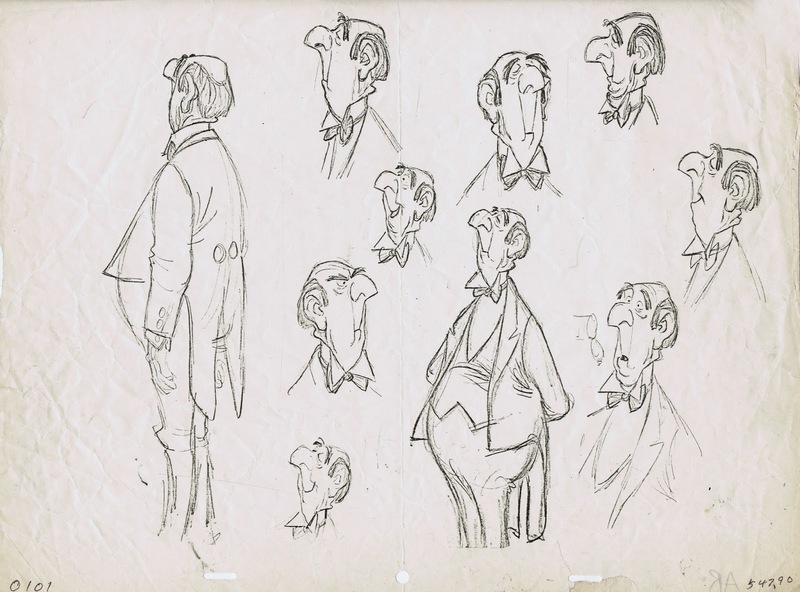 The butler in the film The Aristocats doesn’t fall into the category of “Disney’s most evil Villains”, but that doesn’t mean that his character can’t entertain and delight as a milder, more gentle baddie. 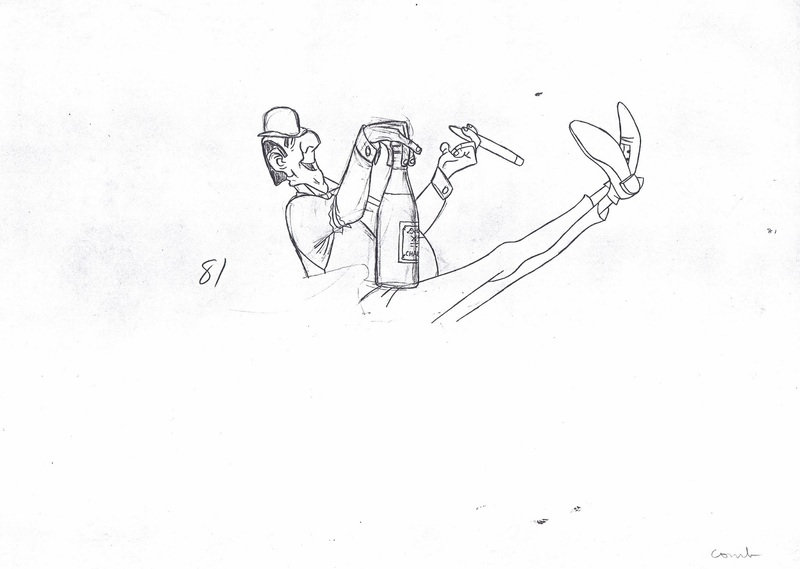 When you have animators like Milt Kahl, Frank Thomas and John Lounsbery bringing Edgar to life, you know that there will be some terrific performances on the screen. 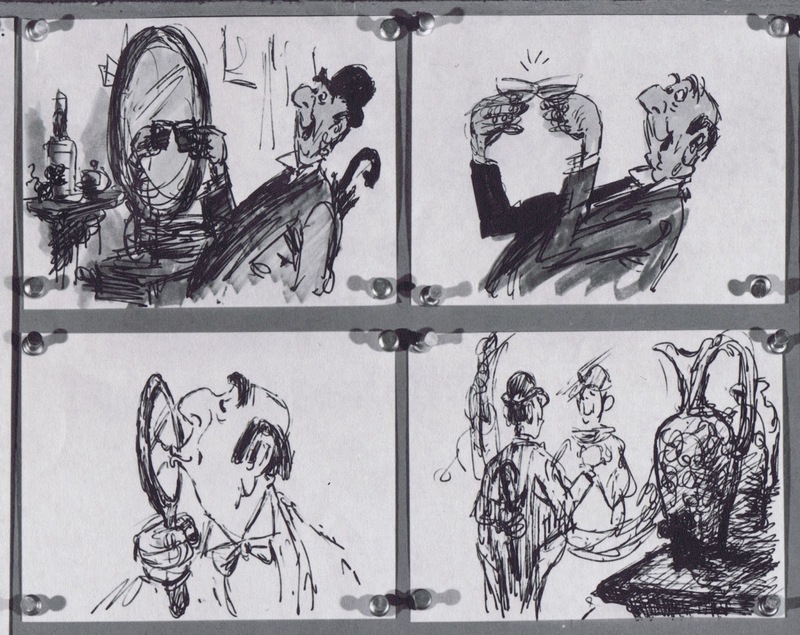 The sheet above shows Milt’s character designs. 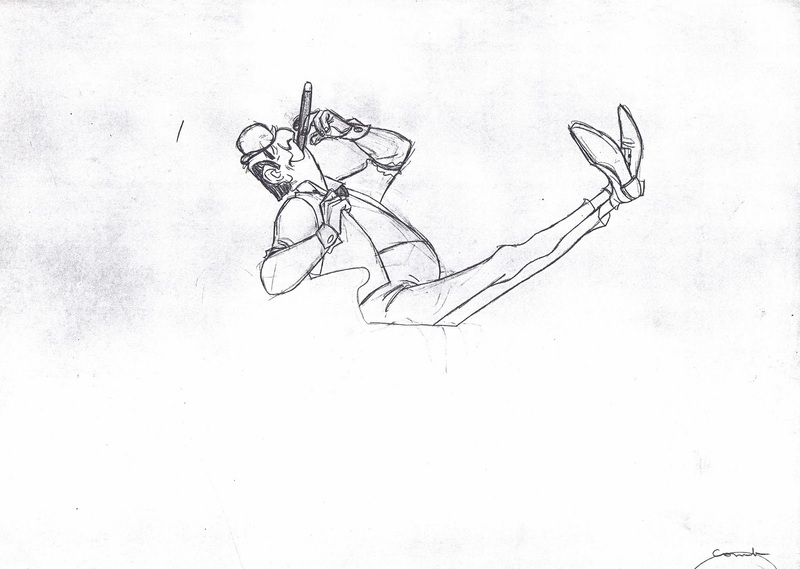 I like the loose skin under his chin and in the back of his neck, which provides opportunities for sqash and stretch. 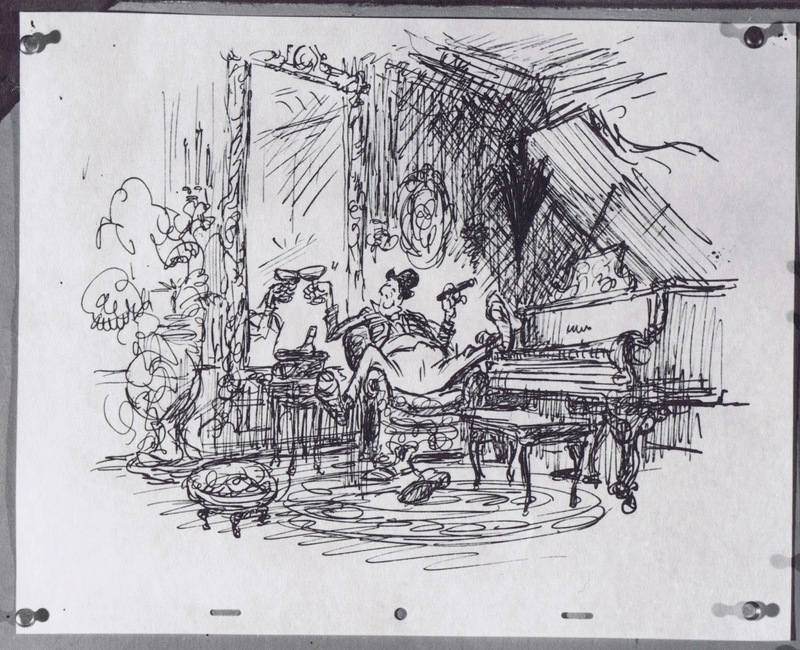 Milt loved working on scenes with Edgar, because his personality called for strong emotions, from deep frustration when he finds out that the cats will inherit Madam’s fortune, to gleeful excitement, when he believes that he has successfully gotten rid of the cats. 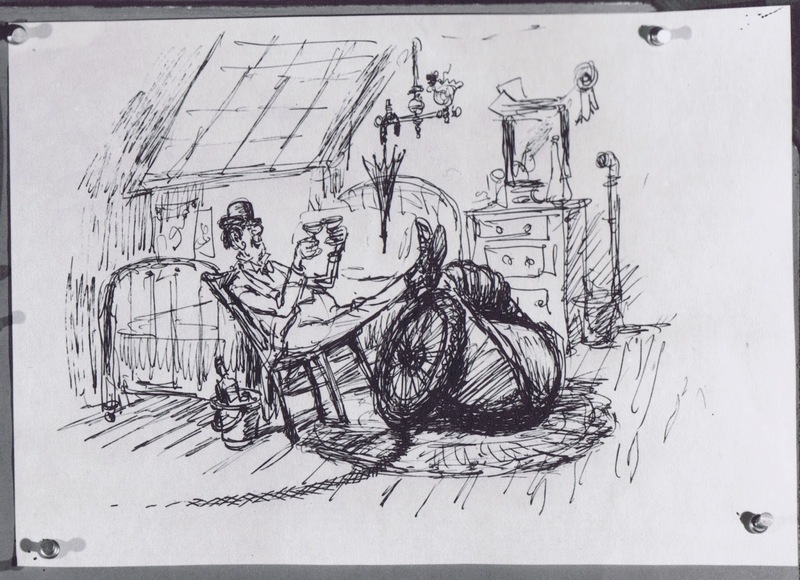 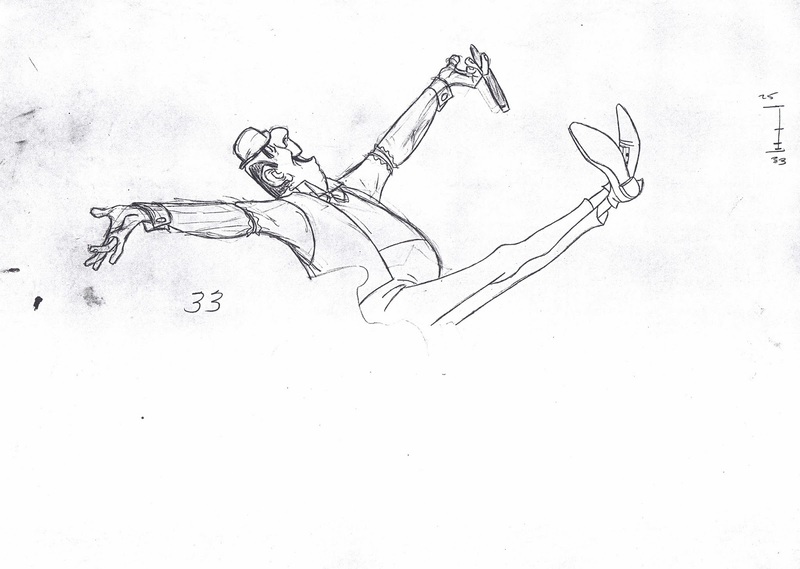 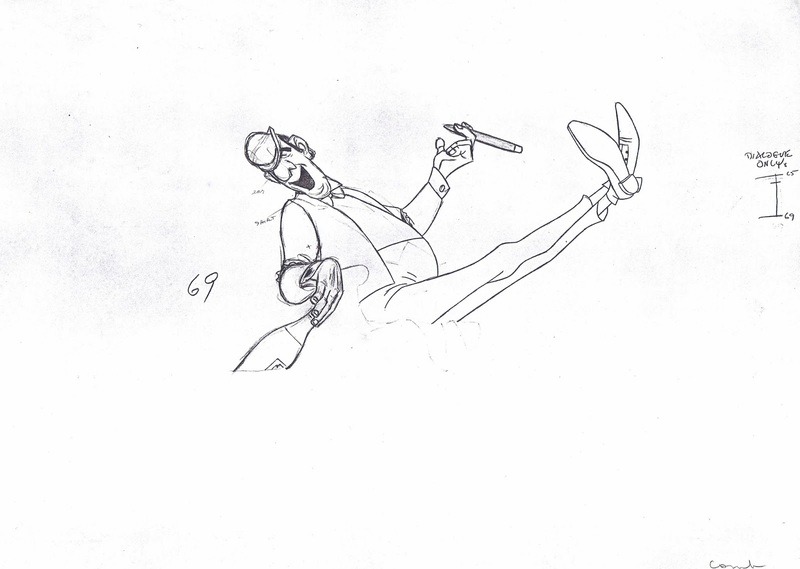 That particular situation is explored in these sketches by Ken Anderson, who came up with fun ideas that show Edgar in a self-congratulatory mood. 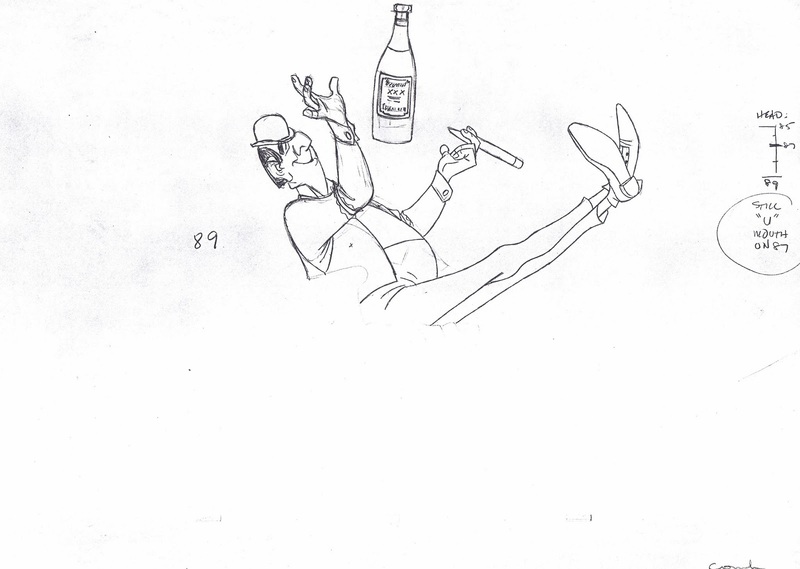 Milt animated this scene, in which Edgar celebrates with a cigar and a bottle of champagne. 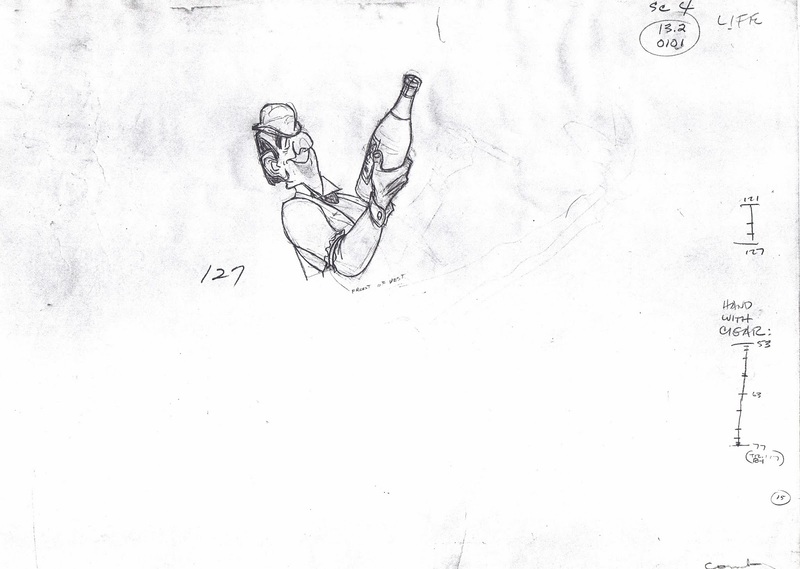 The way he casually lifts up the bottle, lets it twirl in the air before adjusting his grip is fantastic.